Hormonal imbalance can cause many problems in women and one of them is increasing the risk of developing polycystic ovary syndrome (PCOS) which represents having many small cysts on the ovaries. There are many treatments including various natural PCOS treatment methods that can be used. 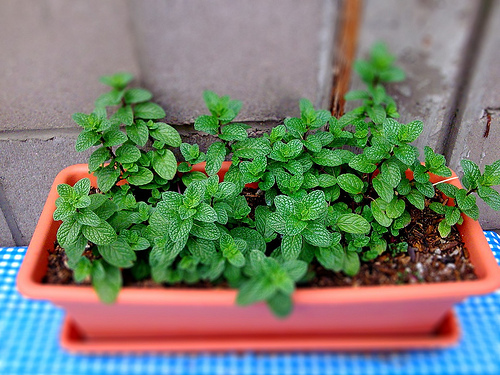 One of the most common herbs that is usually recommended for the natural treatment of PCOS is spearmint. Does spearmint tea for PCOS treatment work? The term polycystic means “many cysts” and as mentioned above, this condition represents having a lot of pearl sized clusters of cysts on the ovaries. These cysts are filled with fluid as well as immature eggs. The exact cause of this condition is unknown but it may have genetic roots. It is a very common condition in women of child-bearing age but in many cases this condition is misdiagnosed or overlooked. These small cysts lead to hormonal imbalance which can cause many problems for sufferers such as infertility, irregular periods or missed periods, weight problems as well as other changes in how you look such as the growth of body or facial hair, thinning hair, skin problems (darkening skin, acne, skin tags, etc). Dealing with these various symptoms can also lead to psychological problems such as depression. The hormonal imbalance associated with PCOS is due to excessive amounts of the male hormones known as androgens which have been found to be excessive in women with PCOS than those without this condition. The ovaries do produce a small amount of androgens in all women which do not cause any problems and is normal just like the female hormone estrogen in also produced in men in very small amounts. Problems arise when excessive amounts of these hormones are produced. It is important to diagnose and treat PCOS promptly because if left untreated, it can cause various complications such as insulin resistance which can lead to type 2 diabetes, uterine cancer, sleep apnea, heart and other blood vessel problems, etc. There are many ways to treat this condition including the use of birth control pills to manage hormone levels, insulin medications, infertility treatments, hair loss treatments, hair removal treatments, exercise, diets, etc. There are also various herbs that can be used for the natural treatment of PCOS with spearmint tea being highly recommended for those with this condition. Hirsutism is a common part of PCOS and mainly represents the growth of excessive and unwanted hair in areas that men would usually grow hair on the face and body because of excessive male hormones associated with this condition. Unwanted hair will grow on the abdomen, breasts, upper lip, etc, which are the areas that men commonly grow hair. This hair is usually coarse and dark. Other symptoms of hirsutism caused by hormonal imbalance include those discussed above such as irregular periods, loss of the feminine shape, acne, male pattern baldness, deepening of the voice, obesity or trouble losing weight, etc. 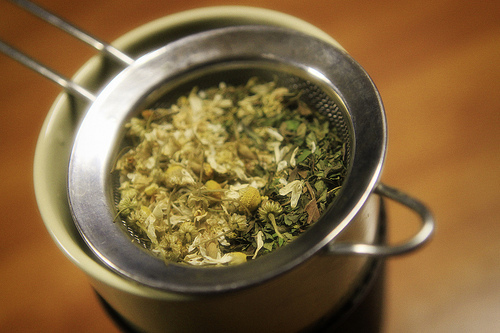 Using spearmint tea for PCOS natural treatment has been shown to effective in fighting hirsutism. A study showed that study participants who drank at least 2 cups of spearmint tea a day showed lower androgen levels than the women who were not given spearmint tea. So if you are looking for alternative treatments for this condition and are struggling with the various symptoms, you may want to consider taking spearmint tea for PCOS natural treatment to help balance your hormones and prevent excessive amounts of androgens. For more effective natural PCOS treatments besides using spearmint tea for PCOS, you need the holistic Ovarian Cyst Miracle which will show you effective natural strategies for eliminating ovarian cysts as well as PCOS for good! Find out more about this bestselling guide here.